In his 2015 State of the Union Address last January, President Obama said employees should get the overtime they’ve earned. He then directed the U.S. Department of Labor (DOL) to review and amend the overtime rules under the Fair Labor Standards Act (FLSA) to make more workers eligible. 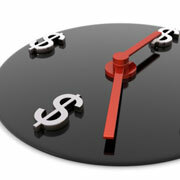 On June 30, The U.S. Department of Labor issued long-awaited proposed changes to overtime pay rules. If implemented, the proposed rule would increase the minimum salary for exempt status and make millions more workers eligible for overtime. However, the path from the proposed rule to a final rule could take several months — and could be derailed. The FLSA was enacted in 1938 and is described by the DOL as a “landmark law in the nation’s social and economic development.” It set the minimum hourly wage (at that time, 25 cents) and the maximum work week (then 44 hours) and provided child labor protections. Its provisions cover most, but not all, public and private sector employees. Be paid a predetermined and fixed salary. Be paid above a specific salary threshold, currently $455 a week ($23,660 for a full-year worker). The threshold was last increased in 2004. Primarily perform executive, administrative, or professional duties, as defined in DOL regulations. Under the DOL proposal, the salary threshold for the white collar exemption would increase to approximately $970 a week ($50,440 for a full-year worker) and would be adjusted annually. The exact amount is estimated in the proposed rule because it relies on Bureau of Labor Statistics compensation data that may need to be updated by the time the rule change would take effect in 2016 or later. If the increased exemption in the proposed rule is finalized, the DOL estimates that nearly 5 million workers will become newly eligible for overtime pay. The DOL is also proposing to set the “highly compensated employee annual compensation level” at $122,148 (from $100,000) for retirement plan discrimination testing purposes. This amount would also be adjusted annually. The purpose of raising the salary threshold, and making it annually adjustable, is to “restore the effectiveness of the salary test” and to “ensure that the Fair Labor Standards Act’s intended overtime protections are fully implemented,” the DOL stated. Here are some basic principles that guide job status determination for three categories of white collar jobs, taken from a DOL Wage and Hour Division fact sheet. The employee’s primary duty must be managing the enterprise or managing a customarily recognized department or subdivision of the enterprise. The employee must customarily and regularly direct the work of at least two or more other full-time employees or their equivalent. The employee’s primary duty must be the performance of office or nonmanual work directly related to the management or general business operations of the employer or the employer’s customers. The employee’s primary duty must be the performance of work requiring advanced knowledge, defined as work that is predominantly intellectual in character and work requiring the consistent exercise of discretion and judgment. The advanced knowledge must be in a field of science or learning. What Other Changes Might be Ahead? Inclusion of Bonuses. The DOL will consider whether “nondiscretionary bonuses, such as certain production or performance bonuses,” should be added to an employee’s salary to determine eligibility or exemption from overtime pay requirements. Working on Electronic Devices after Hours. When it first announced that it was examining overtime rules, the DOL was asked to determine whether employees should be compensated for time spent on devices such as smartphones and laptops, doing work after hours. The DOL didn’t tackle that question in the proposed rule but stated it would ask for input on the topic in coming weeks. There’s a 60-day comment period for businesses and other interested parties to provide feedback to the DOL. The proposal immediately triggered criticism from some employer and industry groups. For example, the National Retail Federation, the National Restaurant Association and the U.S. Chamber of Commerce issued statements that they oppose the changes. These and other groups argued that increased overtime costs may force employers to cut back on workers’ hours, limit opportunities for employees and negatively affect businesses. For its part, the DOL said it would finalize the proposed rule “only after reviewing and considering all the comments” it receives. Given the stakes, opponents are likely to not only comment but to urge Congress — and perhaps take legal action — to modify, delay or drop the proposal. We’ll keep you updated.